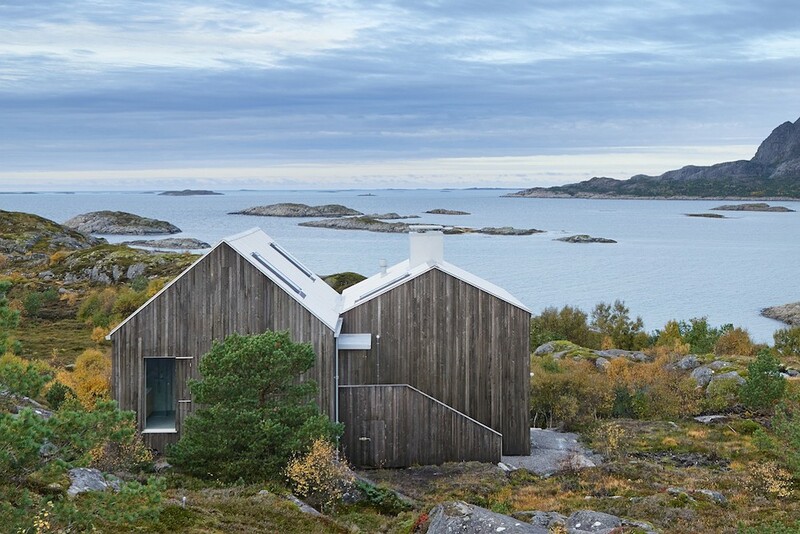 This cottage on the Norwegian island of Vega was built by Kolman Boye Architects, and sits nestled amongst the unsullied, vibrant scenery of the Vega Archipelago. 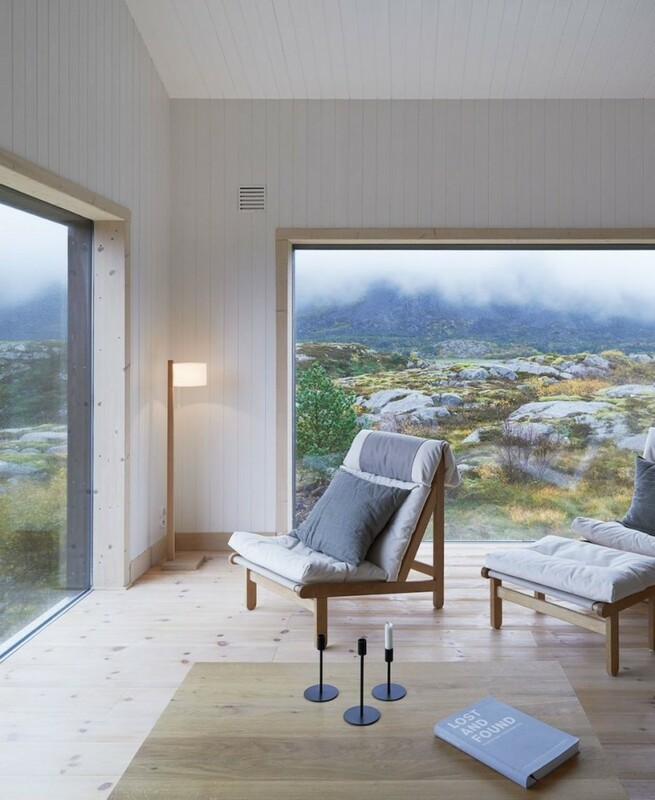 It is intended to serve as a summer house for the families of three siblings for whom Vega was a favourite childhood holiday destination – although if Vega Cottage were mine I’d want to live there all year round. 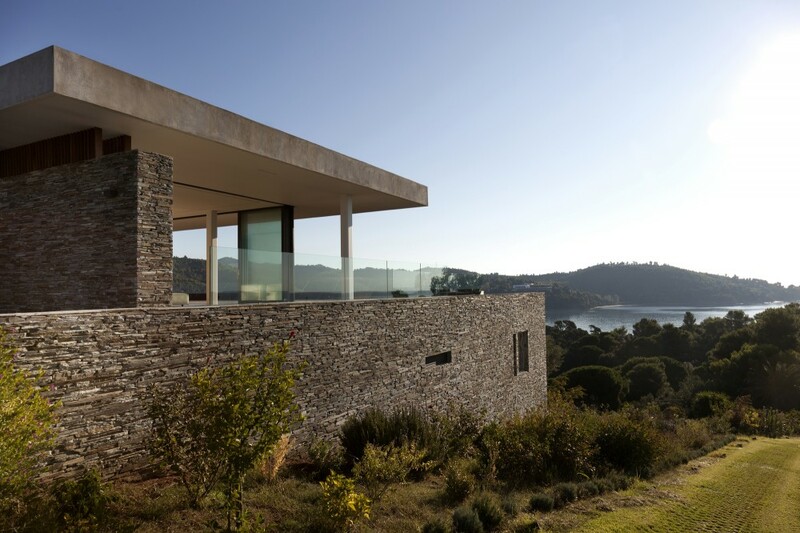 The diversity of the surrounding landscaped is evidenced by the huge windows which feature prominently in three facades of Vega Cottage. 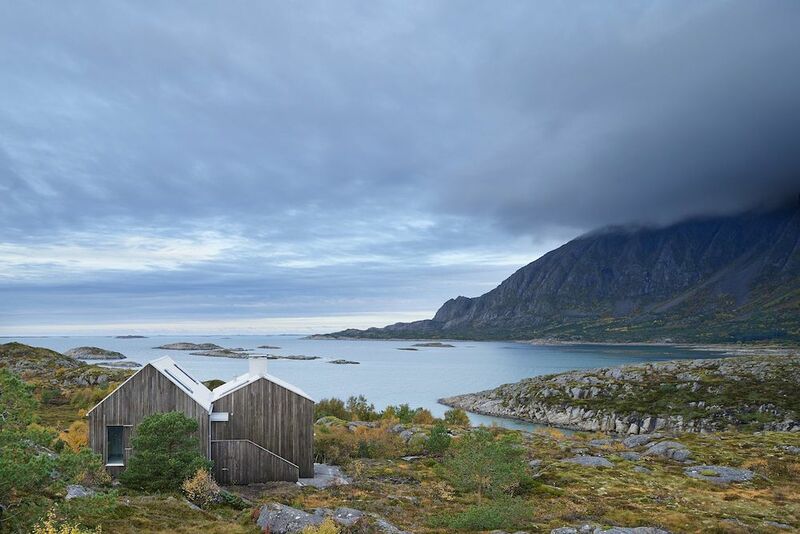 One looks out over the Atlantic Ocean and the surrounding islands; one over the vibrant rocky planes, mosses and shrubs; and the other over the formidable mountains of Trollvasstind. 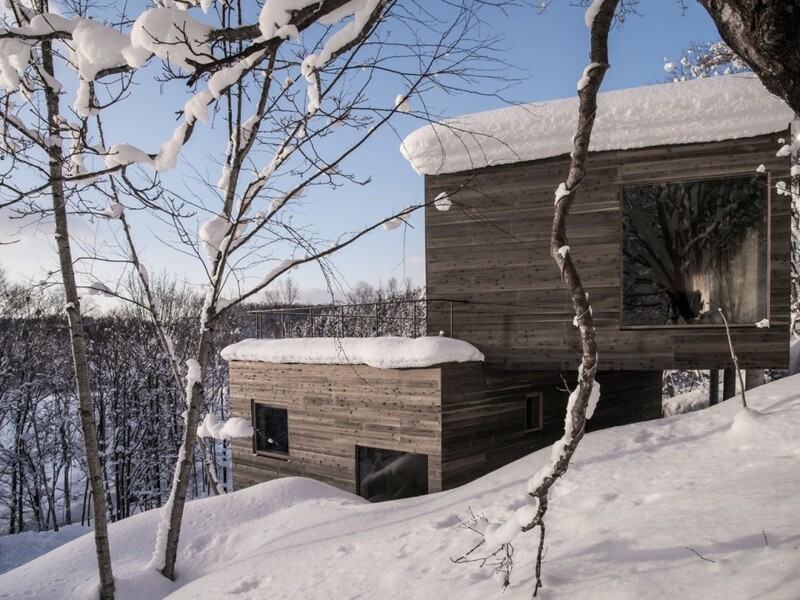 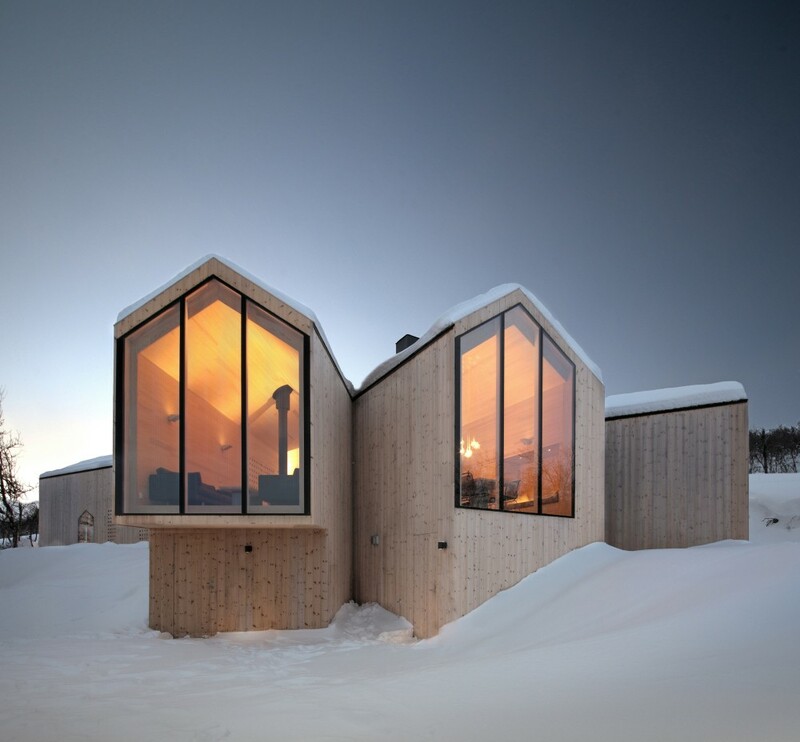 At 100km shy of the arctic circle, this could be considered a harsh environment but the cosy yet minimalist shelter of Vega Cottage allows this seeming wilderness to be observed in comfort. 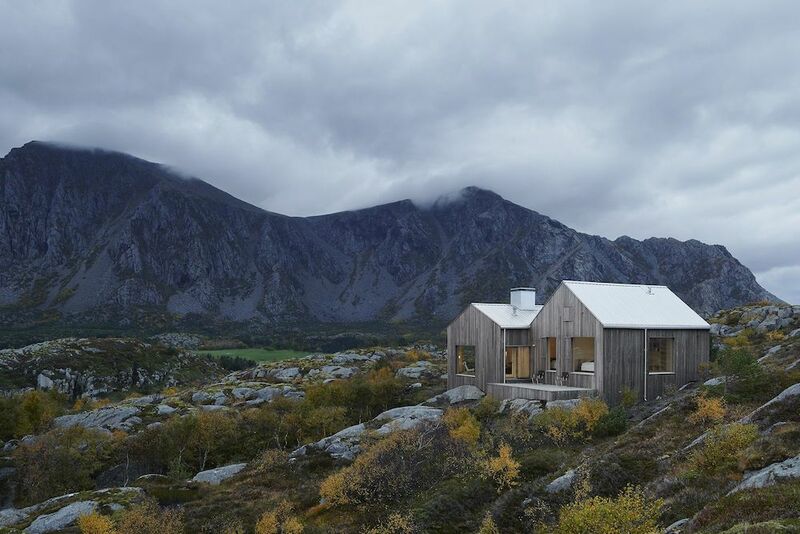 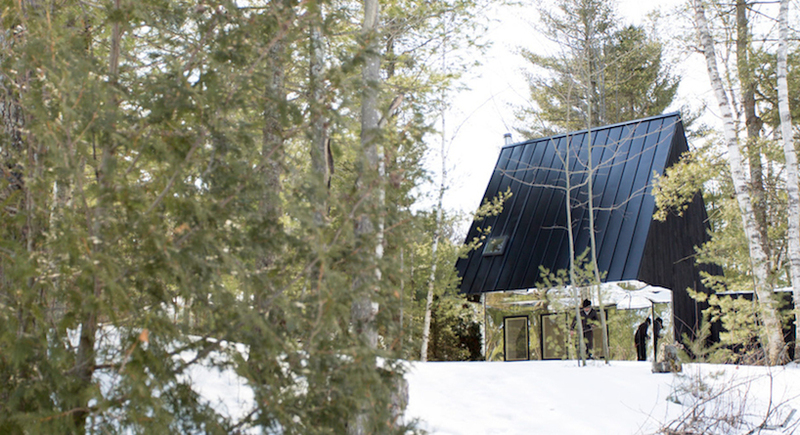 Timber cladding was used for the entirety of both the exterior and the interior of Vega Cottage and in the case of the exterior, it has silvered rapidly to a dark grey thanks to the Norwegian climate. 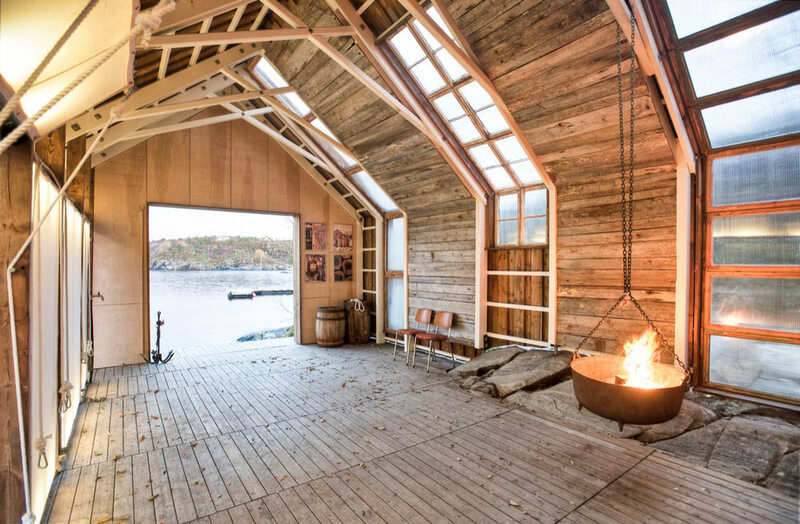 The double volumed form of the dwelling was heavily based on the compositions of traditional fisherman’s boat sheds found on Vega Island such as those pictured here. 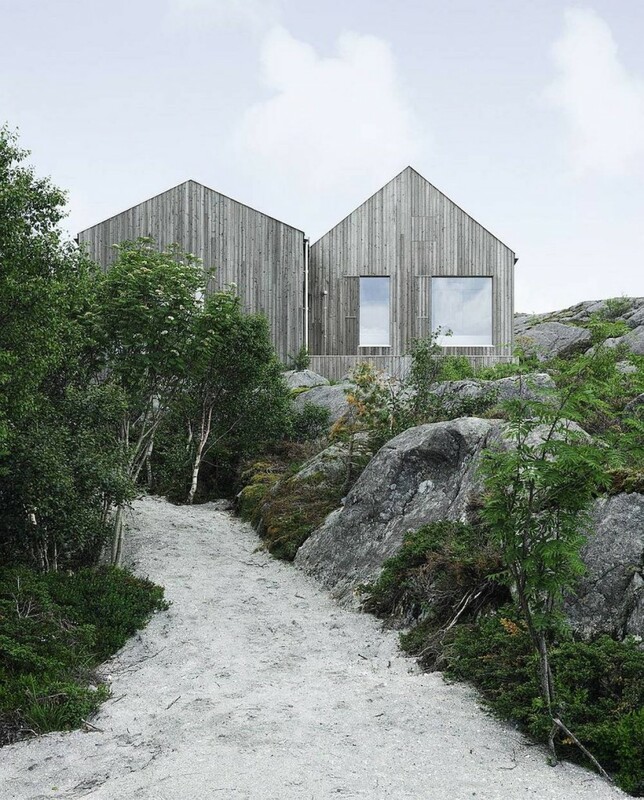 Due to the uneven boulders that Vega Cottage is built on, one half sits slightly higher than the other. 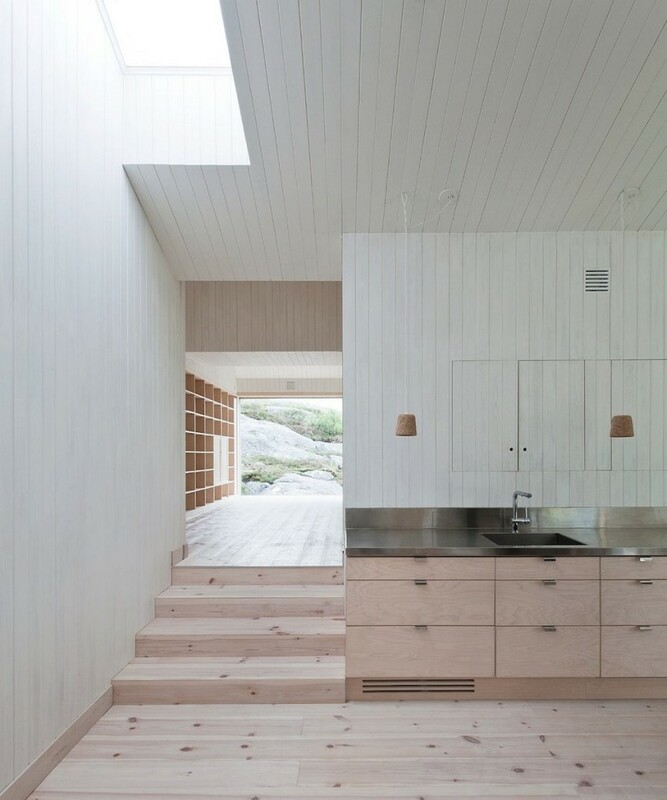 As for the interior cladding, the timber has been kept light to create a spacious atmosphere. 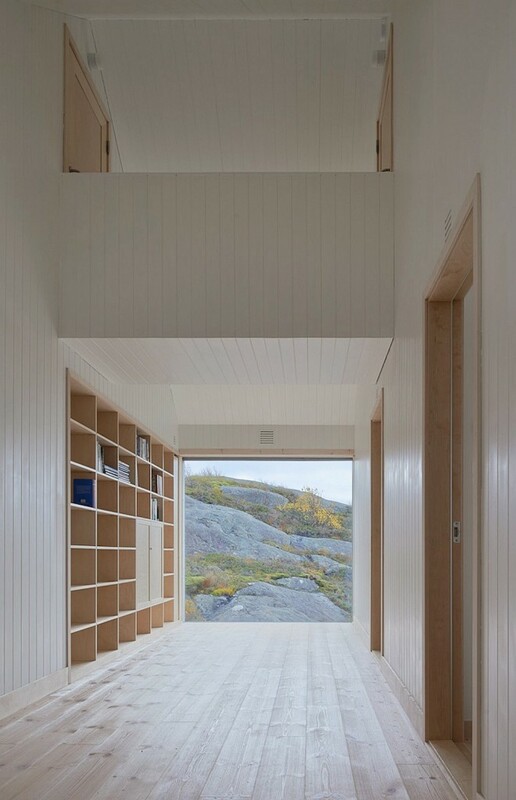 Unfinished birch was used for the window frames and skirting while the wood used for the walls, ceilings and floors has been whitewashed and treated with linseed oil. 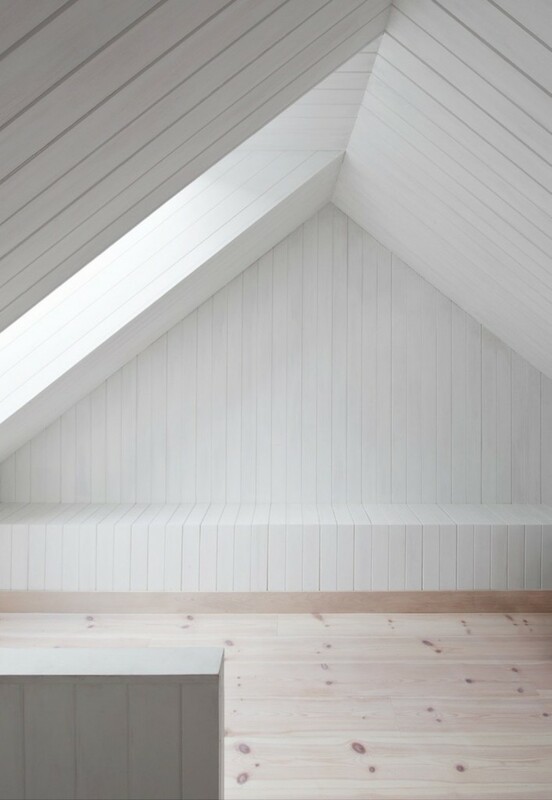 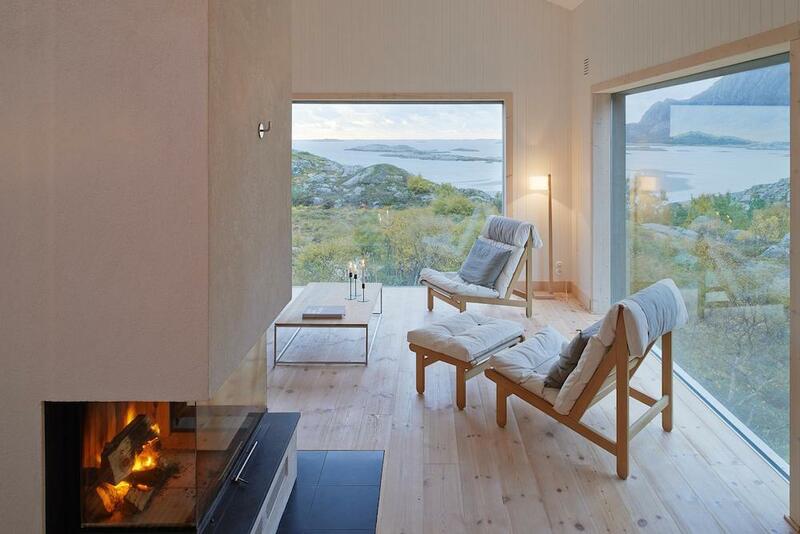 The interior design remains emphatically scandinavian: simultaneously cutting edge and traditional. 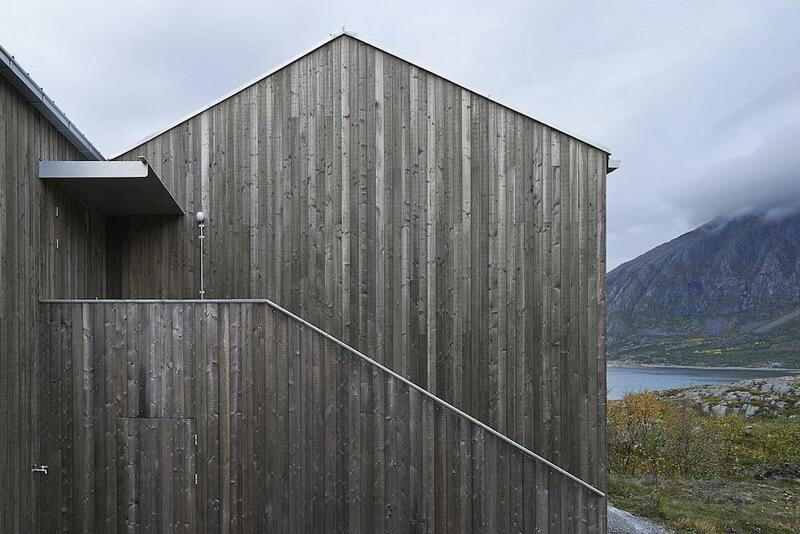 What species of timber was used for the external cladding?